Dreamt about creating your own puppet show and impress the audience. 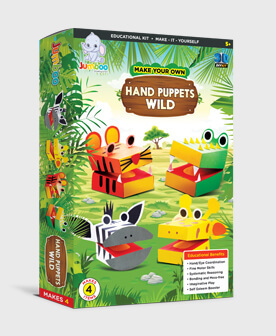 How about now your kids can create their own puppet show, our series of finger puppets helps kids to make 5 different cute little animals and 1 African person from the jungle and help the kids to run their imagination in the world of wild and jungle creating their own story. 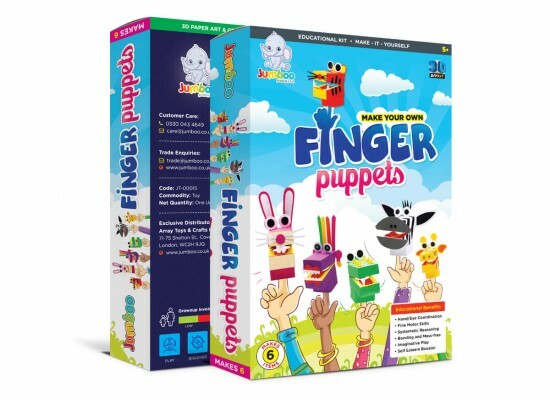 This finger puppets are super cute and are very easy to make by themselves. Once they are ready they can make the puppets voice over from the back and move them around as a story board they have created. 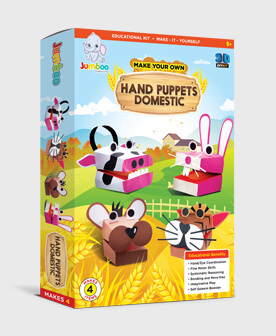 This toys helps a kid to think, brainstorm and create imaginative story around the puppets and present to family and friends. 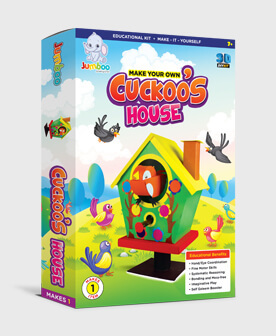 By creating their own stories this helps the kid to build self confidence where they create and present developing presentation skills helping them to think and develop problem solving ability. On the other side kid develops logical reasoning at different situations. 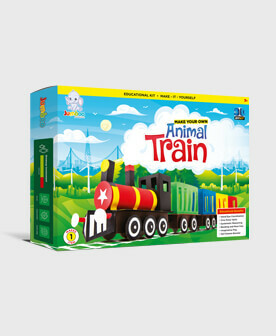 A best gift for your loved one which will help them think and grow.